(NaturalNews) With all of the different pesticides used to grow fruits and vegetables today you may wonder if it’s safe to eat any non-organic produce at all. The answer is yes, you should still be eating five servings of fruits and vegetables every day, whether they are all organic or not. Of course organic produce is better, but for many people the price difference is too great so they stick to regular produce, which is understandable. A diet rich in fruits and vegetables outweighs the negative consequences of pesticide exposure. With that being said, there are some fruits and vegetables that are low in toxic pesticides and others that are much higher. If you can only afford to buy some organic produce this guide will help you shop wisely, so that you can avoid as much toxic residue as possible while still conserving your money. The EWG (environmental working group) cleverly calls the 12 fruits and vegetables listed below the “dirty dozen” due to their high levels of pesticides, when compared to other produce. If possible, purchase the following organic produce. This next group of 15 produce are known by the EWG as the “clean 15”. They are the lowest in toxic pesticides, so if you’re going to buy non-organic produce, these would be the ones to buy. Consuming foods from the clean 15 will lower your pesticide exposure a whopping 92% when compared with the dirty dozen. By choosing five fruits and vegetables a day from the clean 15 list you’ll consume fewer than two pesticides per day, whereas consuming five fruits and vegetables a day from the dirty dozen will cause you to ingest as many as 14 different pesticides every day. What is this information based on? This information is based on an analysis of 51,000 tests for pesticides conducted from 2001-2009 by the USDA and the FDA on 53 popular fruits and vegetables. The produce in the tests were rinsed and peeled so that they would simulate the conditions in which they are normally consumed. We don’t have enough data on long-term pesticide exposure on humans, but it is likely that Americans are polluted with far more pesticides than current studies report. Not surprisingly, pesticide manufacturers and the companies that use the pesticides claim there is no link between pesticide exposure and health risks. It’s this type of outlandish claim that should make Americans question exactly how dangerous pesticides are and the possible long-term health effects of them. Pesticides are designed to kill living organisms. With that in mind we should all make an effort to purchase, at least the more toxic produce, in the organic section. John Mckiernan is a health and fitness writer. He is the owner of Supplement Helper where he writes supplement reviews and more. He also manages CNA Info, a small blog aimed at answering questions for anyone interested in CNA work. (NaturalNews) An increasing number of “junk” food items are now being repacked and rebranded as health food items, with claims that they contain things like added vitamins and minerals, or no trans-fats. But oftentimes such items are still just junk foods with deceptive labels, and consumers need to be aware of this when browsing the grocery store aisles in search of foods that are truly healthy for them and their families.Just because a box of sugar-filled, artificial color-laden cereal, for instance, says it is an “excellent source of fiber” or “made from 100 percent whole grains” does not necessarily mean that the product is healthy. Even if the cereal has been enriched with “eight vitamins and mineral,” it more than likely was so highly processed in the first place that the manufacturer had to go back and add in synthetic nutrients just to make the product edible. Cereals, crackers, chips, cookies, juices, fruit snacks, and many other junk foods marketed primarily towards children often bear labeling that claims they are rich in certain vitamins, or that they contribute to a healthy and balanced diet. But what many parents do not realize is that the added nutrients in such products are typically synthetic, which means they are not easily absorbed by the body. Refined flour-based products are almost always fortified with synthetic vitamins and minerals, for example, because these nutrients have been fully stripped out during processing. But the type of vitamins and minerals that are added back in have been concocted in a lab rather than in nature, and tend to provide little or no benefits when consumed. Many so-called healthy brands are also guilty of this deception, as they, too, fortify their flour-based snack products with vitamins and minerals that would have been naturally present had heavy processing not been a part of the production process. This is typically the case with crackers and breakfast cereals, most of which undergo intense processing and cooking protocols. A good way to tell whether or not a food product has been synthetically fortified with vitamins and minerals is to look for them spelled out individually in the ingredients list. If you see these additives listed out, there is a pretty good chance that the product has been highly processed and is nutritionally inadequate, requiring the addition of at least some nutrients back into the product. The same goes for hidden ingredients of genetically-modified (GM) origin such as soybean and canola oils. Many of the so-called healthy products sold at health food grocers like Whole Foods Market , for instance, contain canola oil, a highly toxic oil that studies are now showing actually promotes heart disease and disease-causing inflammation in the body. (NaturalNews) In their quest to achieve better health, many patients with chronic illness are finding that genetically-modified organisms (GMOs) are one of the primary culprits responsible for exasperating and even causing their persistent conditions. And patients who see doctors that understand nutrition are also discovering that eliminating GMOs from their diets is effectively reversing and even curing these illnesses, without the need for pharmaceutical drugs. In a thorough analysis recently published in Vitality Magazine, Jeffrey Smith, Executive Director of the Institute for Responsible Technology (IRT), explains how doctors who prescribe their ill patients GMO-free diets are witnessing dramatic recoveries in their patients, many in as little as just a few days of eating only clean, natural foods. Patients who were told they would have to take pills every day for the rest of their lives are now experiencing full recovery simply by avoiding GMOs. “I tell my patients to avoid genetically-modified foods because in my experience, with those foods there is more allergies and asthma,” says Dr. Emily Lindner, an internist with 27 years of medical experience and practice in internal medicine. Dr. Lindner has seen dramatic improvements in many of her patients with chronic illness who adhere to strict, GMO-free diets. Interestingly enough, science continues to show that GMOs trigger an inflammatory response throughout the body, which is the foundation upon which chronic illness arises. Dr. Martha Grout from the Arizona Center for Advanced Medicine in Scottsdale is one of many progressive doctors who recognizes that the body essentially rejects GMOs and their foreign DNA as a poison. Numerous animal studies verify that GMOs induce erratic behavior, including a tendency towards hyperactivity. At the same time, GMOs also tear up the digestive tract and lead to chronic bowel symptoms. Both of these conditions are common amongst children that have been diagnosed with autism spectrum disorders, and many doctors are convinced that GMOs are a major cause of autism symptoms. Lacing the food supply with GMOs and not labeling them as such is not only causing widespread illness, but it is also illegally depriving individuals of their lawful right to informed consent. GMOs are not the same as natural food, and have repeatedly been shown to cause serious and long-term health problems — and individuals have a right to know whether or not the foods they buy contain GMOs. (NaturalNews) Contrary to popular belief, not all fat is bad for your health. Many fats, in fact, actually promote healthy weight maintenance and a well-functioning cardiovascular and nervous system, among many other benefits. But with so much misinformation out there about the nature of fats and oils, it can be difficult for many people to make sense of the issue, to the detriment of their own health. Coconut oil. Perhaps the most misunderstood — and also one of the healthiest — oils you can consume, coconut oil is an amazingly-versatile, nutrient-dense superfood that is the richest known source of medium-chain fatty acids (MCFAs), which aid in the proper digestion and assimilation of fats, as well as boost energy levels. Coconut oil is also rich in healthy saturated fats and antioxidants, and has been found to promote brain health, boost immunity, and strengthen thyroid function. Red palm oil. This one is a bit more controversial, as palm plantations are said to be slowly overtaking the natural habitats of orangutans and other animals. But when cultivated responsibly, red palm oil is an excellent, shelf-stable oil that is rich in tocotrienols (vitamin E) and carotenes (vitamin A). Similar to coconut oil, red palm oil has a high smoke point, does not require hydrogenation to remain stable, and is completely free of trans fatty acids, which makes it an excellent option for cooking and baking. Macadamia nut oil. The average American consumes far more omega-6 fatty acids than omega-3 fatty acids, which is a major contributor to chronic inflammation and disease. But macadamia nut oil is uniquely low in omega-6s compared to other nut oils, while also being relatively high in omega-3s. Macadamia nut oil is said to contain an ideal 1:1 ratio of omega-6 and omega-3 fatty acids, which makes it one of the healthiest nut oils you can consume. Olive oil. Nearly everybody knows about the health benefits of olive oil, as it is one of the most highly acclaimed, heart-healthy oils being talked about today. And when it is truly fresh and authentic, extra virgin olive oil really is everything the health industry claims and more, especially when consumed alongside other healthy oils like coconut and avocado. Sesame oil. Popular in Asian cooking, sesame oil has a pungent flavor that makes it a favorite in many foods. And the great news is that it is also beneficial to health, having been shown to lower blood pressure and reduce the risk of heart disease. Sesame oil is also rich in iron, calcium, and magnesium, the latter of which is known for its incredible calming effect. Other beneficial oils worth checking out include almond oil, pumpkin seed oil, flax seed oil, grape seed oil, walnut oil, hemp oil, and ghee, also known as clarified butter. On the other hand, corn, soy, cottonseed, canola, sunflower, safflower and various other “vegetable” oils are all damaging to health and should be avoided. (NaturalNews) If you live in an area which is being blanketed with aerial or ground spraying of pesticides for mosquitoes, it is virtually impossible to completely avoid exposure. However, there is plenty you can do to help get the pesticides out of your body and offset their effects. * Glutathione is the body’s natural detoxifier which enables the liver to remove toxins from the body. N-Acetyl Cysteine helps the body produce glutathione. Likewise, coffee enemas increase glutathione production and also help keep the bile ducts open. * Essiac Tea is a great overall cleanser which is noted for its cancer-fighting abilities. One of the pesticides commonly employed for ground spraying, permethrin, is considered by the EPA as “likely to be carcinogenic to humans” if consumed. * Clay baths are extremely effective for pulling all kinds of toxins out of the body. The best clay for detoxification is calcium montmorillonite. * Pantethine is an often overlooked supplement which can be essential opening up roadblocks pesticides create which prevent the body from being able to absorb, use or deploy sufficient amounts of natural detox items. * Activated Charcoal is safe to consume and very potent. Take 20-30 grams a day in divided doses mixed with water for one to two weeks. * Citrus pectin is one of the most powerful detoxifying substances to be found and, though it eliminates toxic metals, it doesn’t deplete your body of zinc, calcium or magnesium. * Be sure to eat plenty of alkaline foods such as fruits and vegetables. Alkaline bodies are better able to flush toxins. * Fiber helps your liver flush out toxins by transporting them out of your digestive system. Eat two to three servings of fiber-rich foods daily. Dietary sources of fiber include whole grain breads and cereals, flax seed, barley, beans and fresh or dried prunes. * Toxins tend to collect in the fat around tissues like your liver. Grapefruit contains a flavonoid called naringenin that reprograms your liver to melt excess fat, instead of storing it. * Garlic boosts the ability of your white blood cells to fight the effects of toxins. * Lemons and asparagus have proven abilities to reduce pesticide levels. * Eggs help remove toxins and also increase energy levels. * Vitamin C is essential for our ability to neutralize the effects of toxins. * Magnesium is essential for over 300 body processes. * Selenium is important for the production of an enzyme that helps to detoxify your body. * Dandelion root stimulates bile production and acts as a diuretic for excess water. * Used by Native Americans for centuries, sarsaparilla is a great tasting tea and an effective blood detoxifier. * Burdock Root increases urine and perspiration. * 10-12 glasses of clean water daily helps flush toxins from your body. * Skin brushing reduces the fatigue caused by pesticide exposure. It also helps the lymph drainage system flush toxins from your system. * Exercise 30 minutes to one hour daily to bring more oxygen-rich blood to your kidneys and liver, allowing them to eliminate toxins more effectively. Amy Jamieson-Petonic, RD, of Cleveland Clinic shares five foods that harbor nutrients proven to better your brain health. 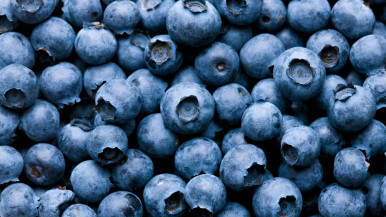 Blueberries: Berries contain anthocyanin, an antioxidant pigment that increases your ability to remember things. One three-month research study showed improved learning recall in older adults who drank blueberry juice to improved learning recall. Almonds: Almonds are an excellent brain food because they contain a protein component that boosts production of a nerve chemical shown to enhance memory. Dark chocolate: Varieties of dark chocolate that are comprised of at least 70-percent cocoa contain flavanols that increase blood flow to the brain. Extra-virgin olive oil: This type of olive oil contains a chemical called hydroxytyrosol that tends to increase messages to the brain and improves your memory. is more likely to kill you. commonly caused by inability of your cells to respond to insulin. extra fat in your body causes diabetes. STORING FAT PRIMARILY IN YOUR BELLY IS A SIGN OF DIABETES. already have diabetes or are pre-diabetic. exercise to grow larger muscles.